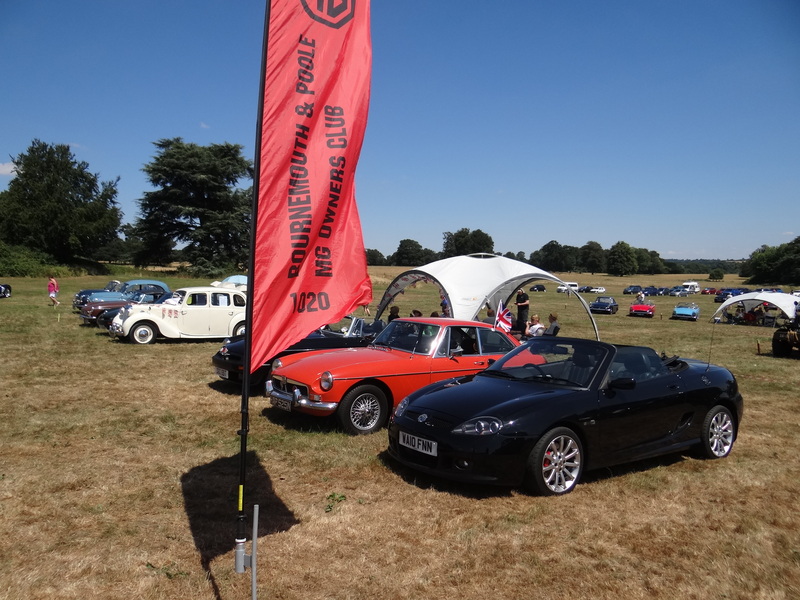 Poole Bay Classics Motoring Extravaganza at Breamore House took place in brilliant weather. Unfortunately our club stand this year only exhibited 6 cars. However a good day was enjoyed by those attending on what seemed a reduced turnout for this popular local show. Sherborne Classic and Supercar Show. This show always clashes with the Motoring Extravaganza which is a great pity. 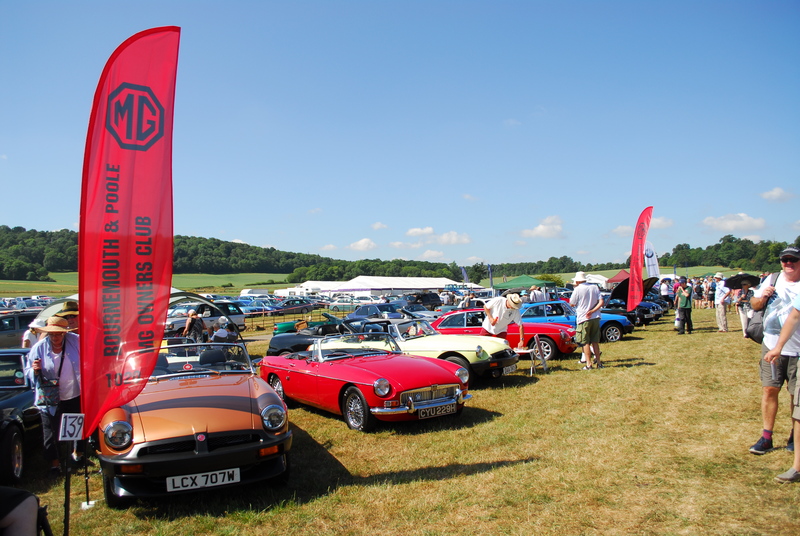 Our members are left with a difficult choice; support a local friendly club or attend the largest show in the area with over 2000 cars on display. As with Extravaganza the weather was brilliant and we were very happy to have shade from the event shelter. We had 17 cars on our club stand. Forde Abbey Summer Fair. A very enjoyable drive to get to this popular show, set in the grounds of Forde Abbey near Chard. Around 200 cars were on show as part of the event with 5 club cars attending. There are many displays in the arena, lots of stalls with many food outlets. The Abbey is open for visits; there is a restaurant in the undercroft and a large tea room just inside the front entrance. The gardens are very attractive and boast the highest fountain in the country at 160 feet high, very impressive.